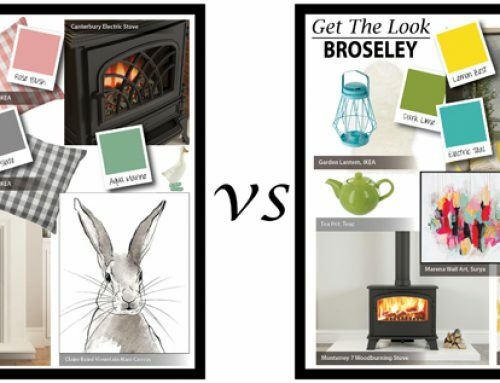 Since our foundation over 50 years ago, Broseley Fires has been established as one of the leading manufacturers of stoves. Based in the North East of England we use traditional skills and castings to craft stoves in steel and cast iron to stand the test of time. 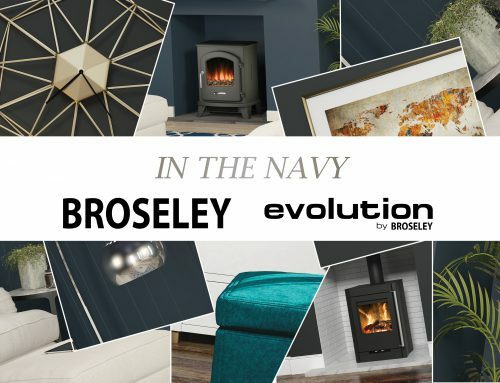 Our product range is continually evolving; we invest heavily in new technology and machinery to ensure our stoves are of the highest quality and meet the needs of the evolving home owner and current trends. 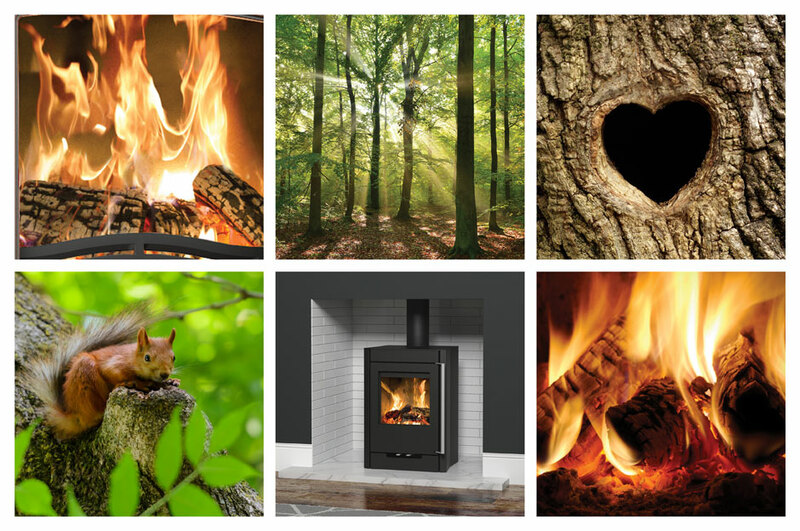 From the original collection of woodburning stoves, we now manufacture multifuel, gas and electric stoves, many of which are manufactured right here in our UK factories. This British built stove is simplicity in itself. 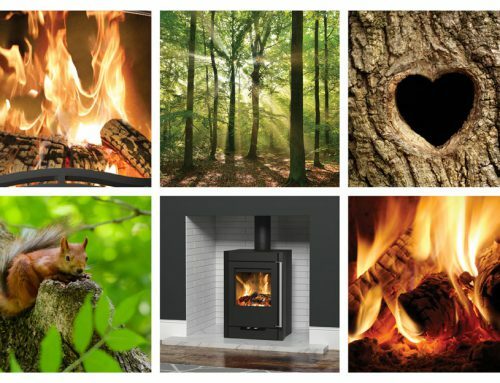 Our contemporary Desire electric stoves provide the shimmer and smoulder of a woodburning stove but in the most convenient form. 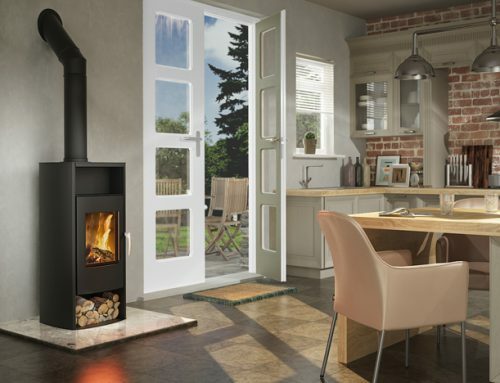 This steel construction in Matt Black finish is available in 3 sizes, each providing up to 2kW heat output, thermostat controls and 7 day programmable remote control. On warmer evenings let the flame effect only setting run and sit back to enjoy the ambience. With an electric stove there’s no need for a flue. You can safely sit the stove directly on to a level surface such as a wooden floor; the only installation required is plugging into a socket. 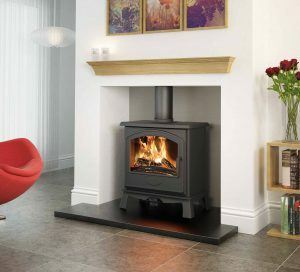 Should you have an existing fireplace but still want the look of a real stove, opt for the Desire Inset Electric stove, for an enticing glow any time of the year. 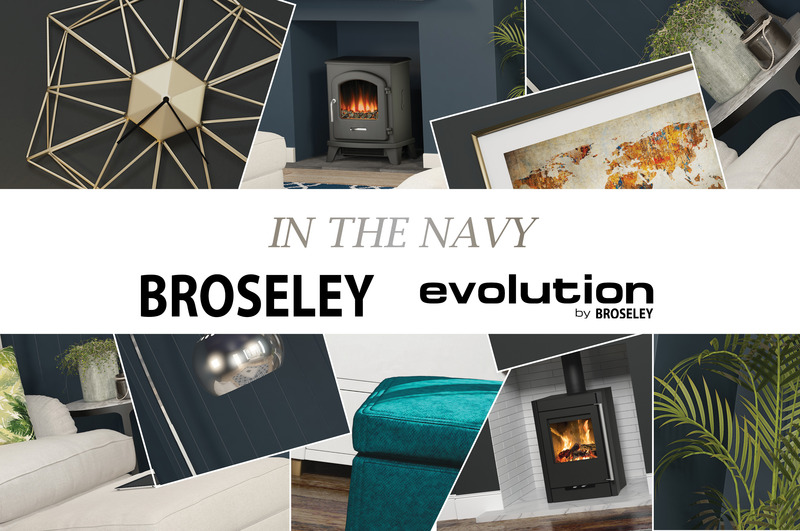 The all steel Desire model is available within the Evolution by Broseley range as Multifuel (with additional log store option) or Gas. 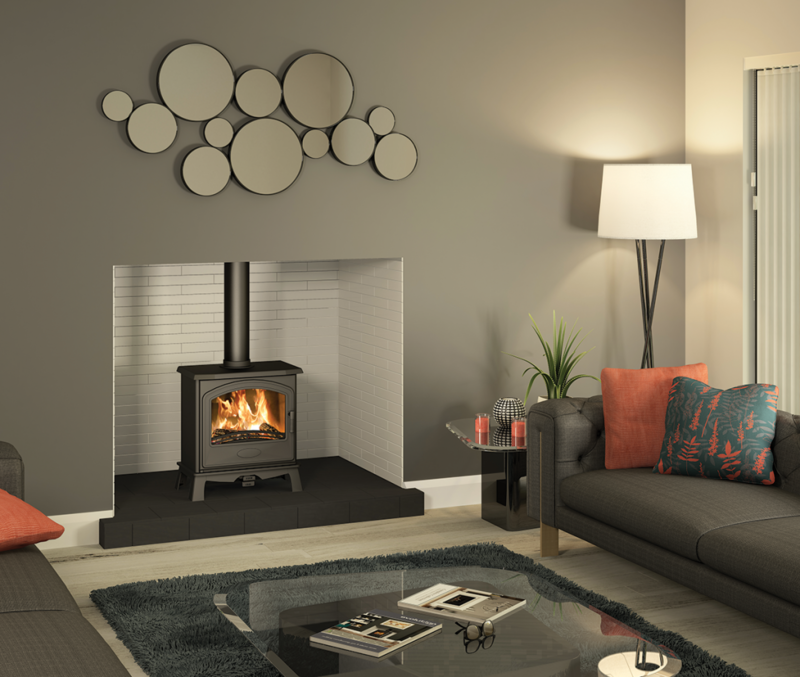 A stylish addition to the Evolution by Broseley range, the British built Endure Balanced Flue gas stove is all steel with Matt Black finish for a modern look. Identified by a round flue installed directly through an external wall, the Endure is fitted against a flat wall and completely sealed from the front, allowing air to circulate through the flue to the rear of the stove. 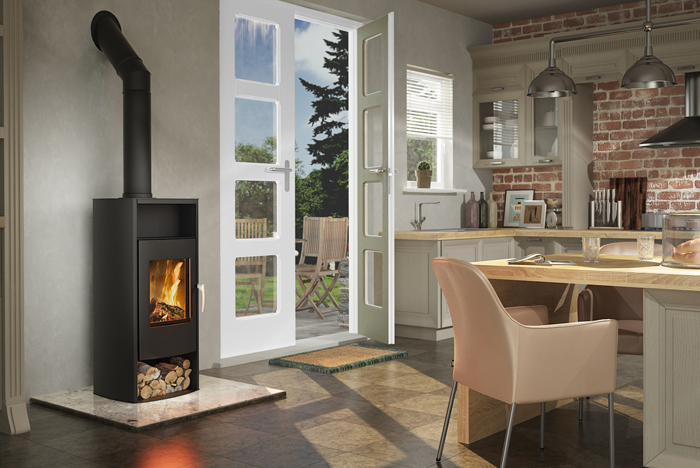 With an enviable 3.3kW heat output you can admire the realistic flame effect which will playfully flicker in full view through the large aspect window. Perfect. 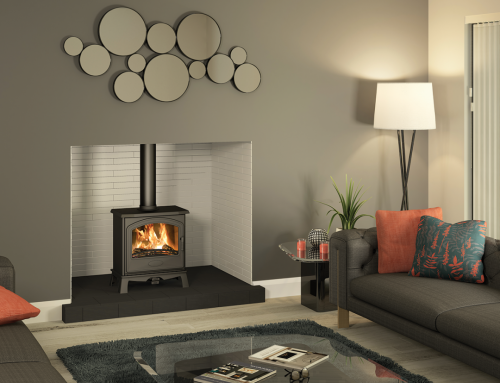 The traditionally styled Hereford 7 SE is an impressive stove designed with clean lines and bold detailing, with the potential to create a unique centrepiece in any living space. Enjoy the flames to the full through the broad arched window of the cast iron door. With a sleek steel body, the Hereford sits comfortably in settings and spaces with an eclectic mix of old and new. 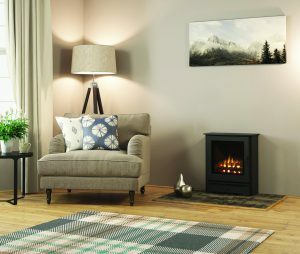 The elegance of the panoramic flame picture of this British built stove radiates the cosiest ambience for you to enjoy. 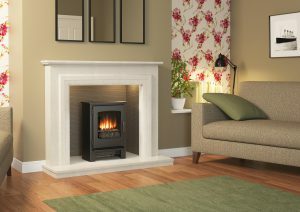 The Hereford model is available within the Broseley range as a 5kW Multifuel, Gas or Electric so you can choose the fuel to fit your home.